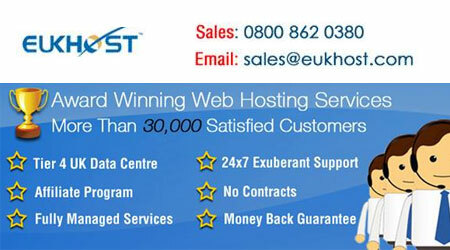 – UK based web hosting service provider since 2001. 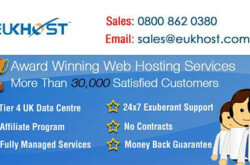 Award winning one of the top web hosting provider since 2001, now serving over 35,000 customers around the world. Expertise in Enterprise hosting and Cloud solutions. Basic (£3.33/pm inc VAT), Intermediate (£4.99/pm inc VAT) and Advanced (£6.66/pm inc VAT). Basic (£3.33/pm inc VAT), Intermediate (£4.99/pm inc VAT) and Advanced (£9.99/pm inc VAT). Linux (£16.66/pm ex VAT), Windows (£16.66/pm ex VAT) and VMware Cloud hosting for Business. 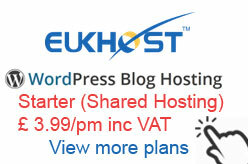 Starter (Shared Hosting) + £ 3.99/pm inc VAT + 5 GB Web Space + more. Standard (Shared Hosting) + £ 9.99/pm inc VAT + 20 GB Web Space + more. Professional (Managed Server) + £ 28.99/pm inc VAT + 50 GB Web Space + more.